USA, Virginia, Richmond, 10 dollars dated 1864. Grading: VF. Reference: P. 68. USA, Virginia, Richmond, 10 dollars dated 1864. Grading: XF. Reference: P. 68. USA, The State of Louisiana, 5 dollars dated 1863. Grading: F/VF. Reference: P.S. 895. 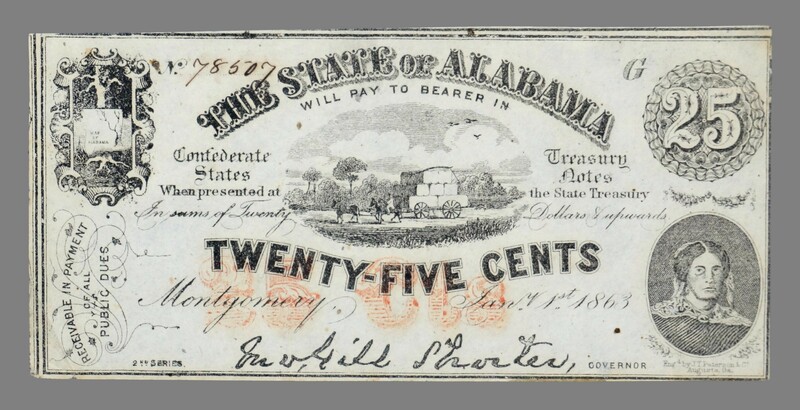 USA, The State of Alabama, 25 cents dated 1863. Grading: XF. Reference: P.S. 211b. 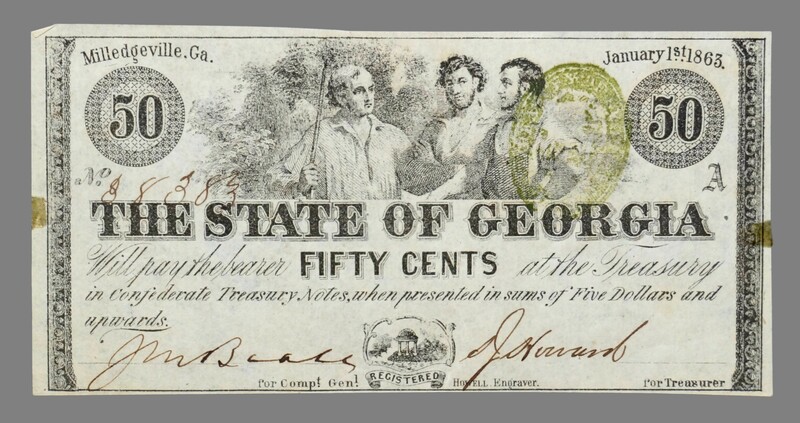 USA, The State of Georgia, 50 cents dated 1863. Grading: XF. Reference: P.S. 862a.